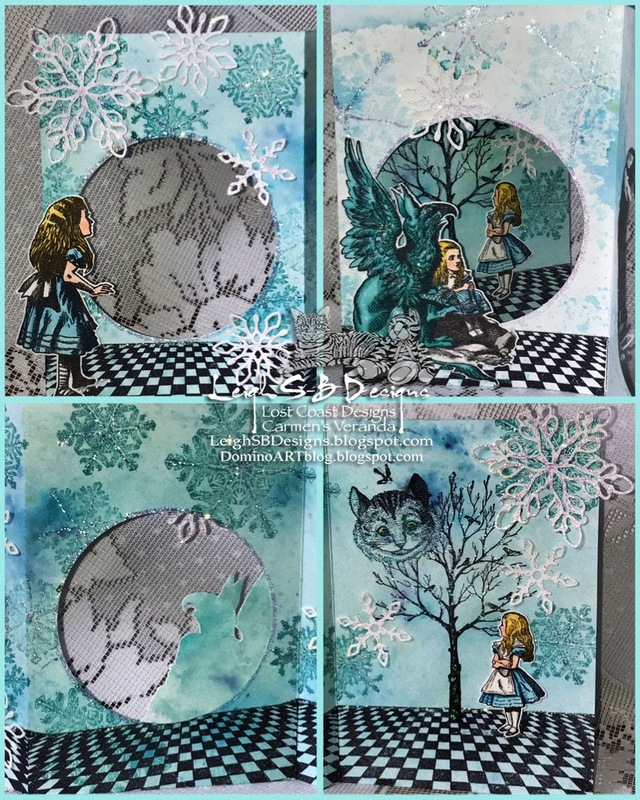 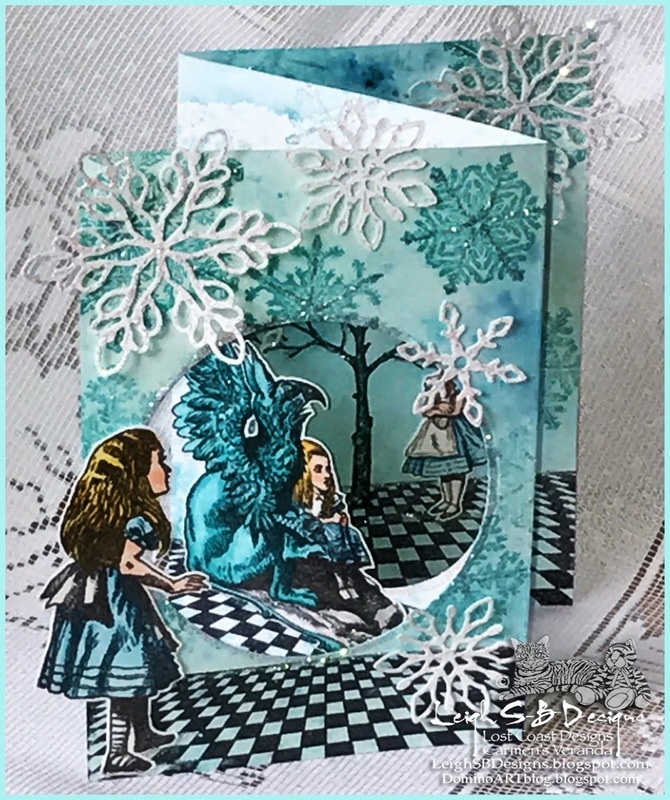 Velvet Paw Creations: "Alice in Winterland" - Card for Lost Coast Designs Alice event! "Alice in Winterland" - Card for Lost Coast Designs Alice event! 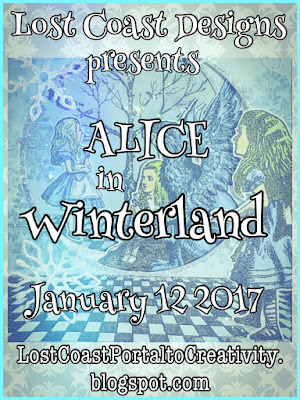 A Wonderlandful adventure began today over at Lost Coast Portal to Creativity! Alice has fallen down the rabbit hole again but this time she has found herself in a magical Winter Wonderland! Enjoy our daily LCDesigner projects through to January 16th and then join the adventure! 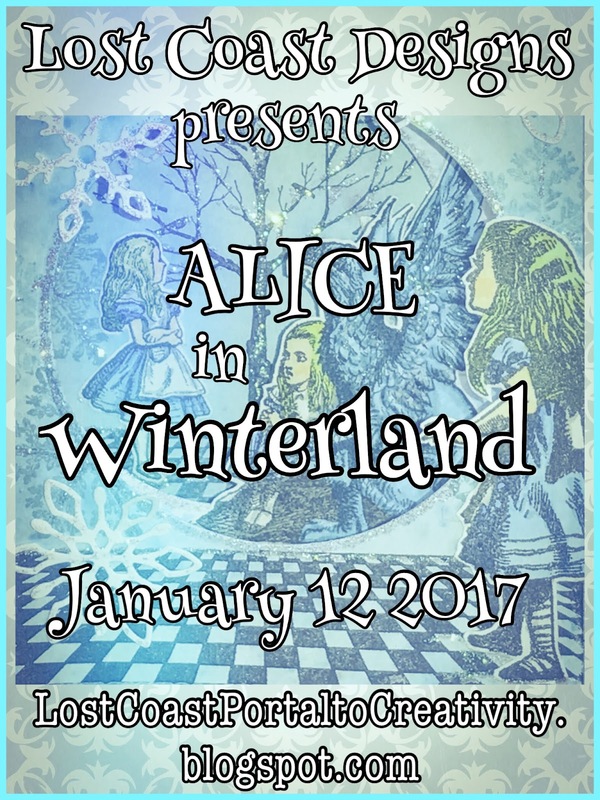 Enter your wintery Wonderland themed projects by midnight PST on January 31st for the chance to win LCD/CV Bucks to spend on rubber at Lost Coast Designs and Carmen's Veranda! 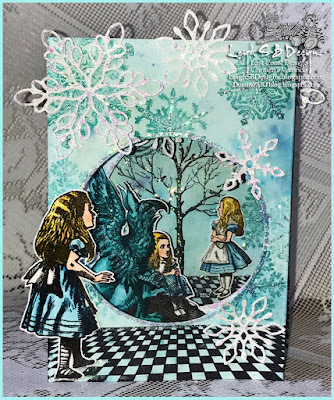 Who is Alice talking to? 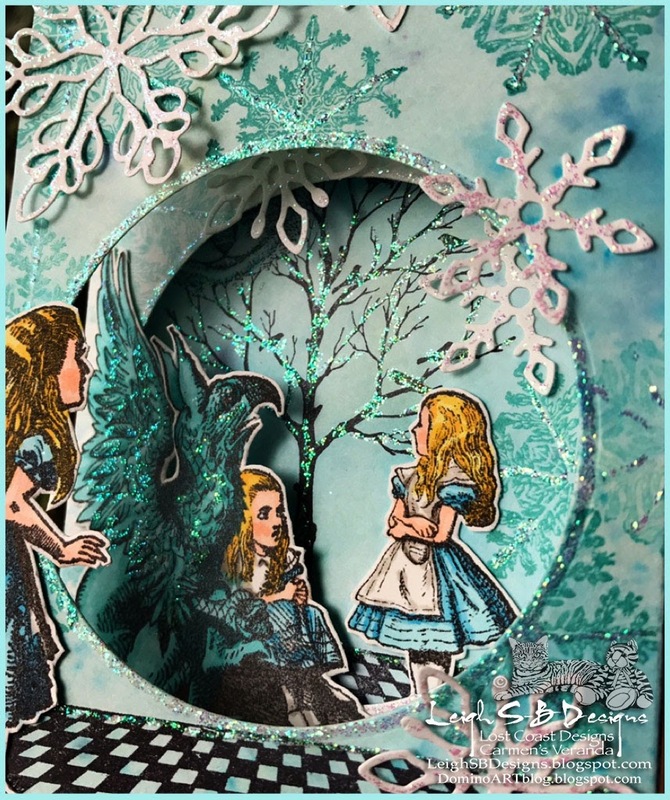 Wow Leigh I love how you have created this card with Alice....love the Winterland Blues!